Kai Tak is named after two businessmen, Sir Ho Kai and Mr. Au Tak, who were involved in a company formed to reclaim land in Kowloon Bay for a residential housing scheme. The Company, unfortunately, failed and the reclaimed land was left vacant. The suitability of using this land as an airfield was recognized and the first recorded flight from Kai Tak took place on Lunar New Year's Day in 1925. The aviation began on this unique piece of land with a flying school and a British military flying unit. In 1930, the first aerodrome superintendent was appointed with the aviation activities at Kai Tak coming under the administration of the Harbour Department. In 1935, the first control tower and a hangar were built. 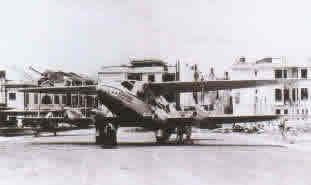 The first commercial passengers flight 'Dorado' landed on 24 March 1936 from Penang operated by the Imperial Airways. With this arrival a new era began for Kai Tak as an airport for public transportation. A letter delivered by the 'Dorado' with datestamp showing 24 March 1936 on its back. 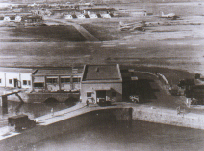 During the Second World War a second runway was built by the Japanese during their occupation. However the Airport was severely damaged by bombing. After the war, a local airline, the Cathay Pacific Airways began operations with DC3 aircraft. The Civil Aviation Department was established on 1 May 1946 charged with the responsibility of administering the air services activities of the territory. In 1954, the Government approved a master plan for airport development. 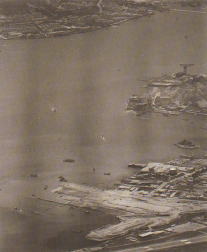 In 1958, a new northwest/southeast heading 2529 meter runway was constructed on a promontory into Kowloon Bay. The name Hong Kong International Airport was officially adopted for Kai Tak Airport. 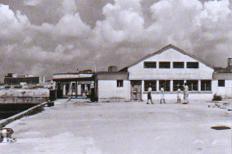 In 1962, a passenger terminal building was built. Turboprop aircraft were being replaced by jets such as the Boeing 707, DC8 and de Havilland comet. The first Boeing B747 arrived on 11 April 1970. In those days to use runway 13 pilots were required to have the runway in slight when the aircraft was near Cheung Chau Island. 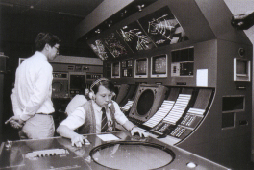 In 1974, the visual approach was replaced by the Instrument Guidance System (IGS). With the aid of the IGS the runway could become visual to pilots when they were over the Kowloon Peninsula. This significantly increased the utilization of runway 13 under adverse weather conditions particularly during long periods of easterly prevailing winds. In 1975, the runway was extended to 3,390 meters to meet the long haul operating requirements of the 31 airlines that operated into Hong Kong. 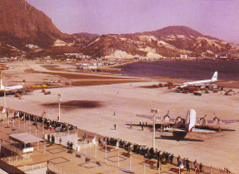 In 1976, the Hong Kong Air Cargo Terminal was opened. 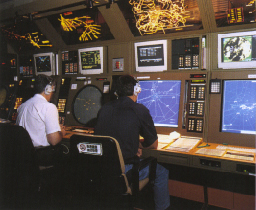 In the same year, Air Traffic Management was enhanced by the introduction of Secondary Surveillance Radar. Upon the completion of Stage 4 development of the passenger terminal building in 1981, a study of the capacity of various facilities in the passenger terminal building revealed the need for the further expansion of the terminal to cope with air traffic forecast in the early 90s. The Stage 5 development of the terminal was commenced in 1984 and completed in 1988, increasing the design capacity to 18 million passengers per annum by adding terminal parking facilities, check - in counters and baggage reclaim units. In 1987, to cater for the strong increase in air traffic at Kai Tak during its remaining life before the availability of the replacement airport, another series of expansion and improvement projects initiated. In 1991, Terminal 2 of the Hong Kong Air Cargo Terminal was commissioned providing an annual air cargo handling capacity of 1.5 million tonnes per annum. In 1992, the expansion of the East Apron which provided 4 additional parking bays for B747 - 400 aircraft and a general aviation aircraft parking area were completed. Finally, in 1994 an expansion of the South Apron Provided 11 more parking bays for B747 aircraft. The design capacity of the airport reached 24 million passengers per annum. In 1996, the Kai Tak Airport reached an important milestone when it handled 29.5 million international passengers and 1.56 million tonnes of international cargo making it the third busiest Airport in the world for international passengers and first in the world for international cargo throughput in the world. The Airport Authority Hong Kong is charged with the responsibility to develop and manage the new airport at Chek Lap Kok. The Civil Aviation Department will continue to provide air traffic control services and will take up a regulatory role in respect of airport management side. Through an aerodrome licensing system the Department will ensure that the new Airport is operated in compliance with the international safety and security standards as required by the Hong Kong Special Administrative Region Government. The Civil Aviation Department will ensure that our mission is achieved. Committed to provide a safe and efficient air transport system.